Hey, everyone! Is it getting warm in the place where you live? Here in Indonesia is rainy season since 2 months ago. Almost everyday is raining, but the weather is still humid and hot. Such a horrible combination. It makes me don’t want to go out because as soon as I step outside my door, the bright hot sunlight welcomes me, and at the time I want to go home, I am always covered with heavy rain. We just have to wait until this season passes. When I upload this post, it’s already the third week of February, and it means almost 7 weeks I am doing a low-buy year project. I must say that gladly everything is not as hard as it seemed in the beginning. Surely there were times I wished I wasn’t doing a low-buy year, for example when I was traveling to other city last week for the Lunar New Year Holiday and I saw a very cute piece of dress, and also when there was a big sale going on in local makeup brand store here, and so on. But this is all for good sake so I will be going through this project whole-heartedly! In this post, as you can see from the title, I want to share with you my tips on how to survive a low-buy or no-buy year project. Of course I am in no way near perfect on doing this. But these are the mantra I’ve been applying to myself to reduce the pain of restraining my shopping desire. This may sounds harsh, but we can’t deny that the hardest temptation for shopping most of the times comes from influencers or accounts that we follow on social media, rather than the need of using those products itself. Therefore, I highly recommend you to unfollow those accounts or unsubscribe all those newsletter that tell you about deals and promos from your favorite brands. I understand that you might still want to know what’s going on in beauty community. Therefore, I propose you this, which is called ‘selective unfollowing’. Just unfollow certain accounts that make you feel left behind if you don’t buy certain products at the time they were released, or make you feel ungrateful about everything you already have. You can still follow accounts or influencers that give reviews, info, or swatches about products. That way you can really consider which products you will get a lot of use and slowly but sure eliminate your wish list according to those reviews. When I do my grocery shopping, I always pass through beauty section at my local drugstore. Before this low-buy year project, sometimes I take a peek at that section to know whether there were new products worth a try. And after that, I would look for some reviews about them on Youtube or blogs, and because of that, I ended up buying those products just because they look pretty or just because I want to try what other people has tried. Recently, I completely skip that part. I never look into my local drugstore again, nor watching any review about new local beauty products here in Indonesia. I’m still watching reviews about overseas beauty products, though, because the temptation is not that high from those products since it’s not that easy to get those in a short time after they were released. Unlike Indonesian beauty products that are available in front of my eyes easily. This mantra is basically what I apply to my low-buy year rules. As I mentioned on my post about my low-buy rules here (in case you haven’t read it), I can only buy things on June and December this year. This way I can really consider new released products from January to June whether I need those products or not. So, if you have some products on your wish list, do NOT buy them immediately, but just wait until a certain amount of time that you defined by yourself. It could be a month, two months, or like myself, five months. But if I may say, at least one month is ideal. And while waiting, you can watch or read some reviews on beauty channels or blogs, compare them to your belongings, and compare them to some other new released products. Therefore, the probability of regretting what you would’ve bought can be minimized. These days where beauty products were launched every other day, revisiting our old (or maybe not so old) stuffs could be an exciting experience, too. Recently we know this term as “shop my stash”. By doing this, we could be reminded of how excited we were after buying them at the store or when receiving them in our mails for the first time. And how excited we were when we first open their packaging, swatch them, and finally tried on our face for the first time! Try to watch some reviews about those products again so that you are reminded of how good they were. Watch some tutorials so that you could recreate some new looks you haven’t tried by yourself before. Or maybe you can also make some tutorials by yourself if you are a beauty content creator! Along with revisiting your old stuffs, try to incorporate them as much as you can in your makeup routine. Not only that, make defined target on how many products you want to finish, by the end of the year for example. You might know this challenge as “pan that palette” or “project pan”. In this challenge, you will put all those products you want to hit pan on or finish in one storage and put it in your top drawer or in a place in your vanity where you can easily access it. In my case, I use those products continuously until I finish them and I don’t even use any other products except those products included in my project pan. After finishing some of them, I felt really accomplish and it made me feel I didn’t waste my money because I actually finished what I’ve bought. Like I mentioned above that you should wait if you have something in your wish list, in that waiting period, you could also find some stuffs in your collection that might have similar characteristic or quality with the thing in your wish list. For example in an eye shadow palette, you might already have all the shades here and there in your collection. So if you find some dupes in your collection, it’s possible that after some times, you are no longer wanted to buy that palette! And last but not least, this is also basically what I’m currently doing, documenting my low-buy year journey. You could make videos or blog posts where you write everything about your old stash, how you like it then and now. You might notice a huge different on how you use it the first time you have it and now. This way you can also observe your skill improvement. Make notes on something you want to buy but in the end you don’t buy it so that you can track how much you save by doing this low-buy or no-buy year. Observe which products you are able to finish and how much money you spent that actually worth it. By doing this, you could also inspire others to do the same. Your documentation might be helpful for others, too! So yeah, I think that’s all I can share according to my experience in doing this for only seven weeks. I hope you find it helpful and practical! If you are doing a low-buy or no-buy year, how do you restrain your shopping desire? Which of the things I mentioned here that you’ve already done or are currently doing? Do you have additional tips you could share with us? If so, please leave them in comment section below! Hey, everyone! 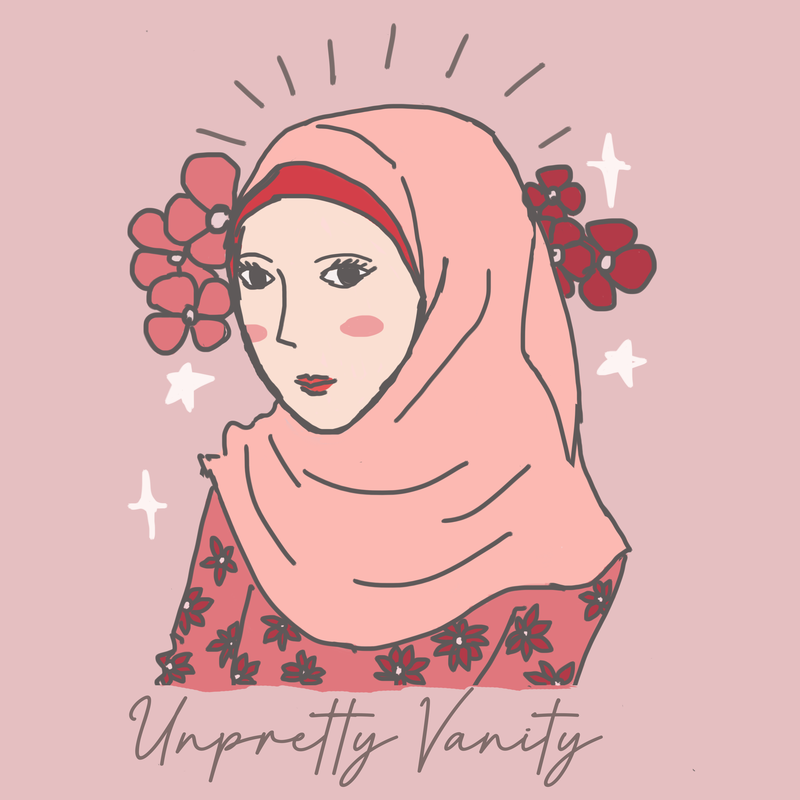 This is my first post after this blog was officially changed from ‘Atashi no Hanashi’ to ‘Unpretty Vanity’. If you want to know what this blog will be about from now on, please do check section ‘About’ on the menu! So, there are many things happen to me recently and it made me unable to post on this blog as frequently as before. But actually, I never forget this blog and I always wanted to come back. That’s why I still came by from time to time to reply comments on this blog. I may say ‘recently I couldn’t find time to write a blog post’, but I believe it’s just an excuse. The thing is ‘I didn’t make enough effort to make time for this blog’. I started this blog back in 2012 and until now this blog has been a space for me to pour my idea and share my experience that I hope can be useful for everyone who read it. I realized that I want to continue this and never abandon this blog anymore. I took some time to think what I really want to write on this blog specifically, because I think recently my posts became so messy and un-directed. Because I have such diverse hobby (traveling, books, makeups, Harry Potter), I can’t decide what I want to write the most, therefore I wrote everything, and therefore this blog became so disorganized. I need to narrow down the theme of this blog so that I can have motivation to write and people with specific interests can keep coming back to this blog. At the same time, coincidentally, I started realizing that there are many things I haven’t finished among my belongings, such as books (I have a pile of new books I haven’t finished reading), makeups (I keep buying makeup even though I know I have enough already), post drafts (I wrote several drafts that I didn’t finished because I lost motivation of writing them), and so on. And I don’t want to become this kind of person. I must finish what I have started. Therefore, I started minimalist lifestyle just recently. I started it by promising to myself that I will NOT buy anything until June 2019 unless I finish what I already have. And ‘anything’ here includes everything: books, makeups, clothing, bags, shoes, accessories, etc. I also will start reading all of new books I haven’t finished reading on 2018. And coincidentally (actually I started to believe that this was destined to be), several videos with titles that include ‘low buy year 2019’ or ‘no buy year 2019’ were popped on my Youtube recommendations. Out of curiosity, I watched some of those videos, and it’s like ringing a bell in my head, ‘Ah, so this is what I actually will also do. A project called ‘low buy year 2019”. I am completely aware that promising something to our self will not run successfully if we don’t share it with others. And then I think, ‘why not write this project on my blog?’. By sharing it on my blog, it’s like I promise to public and therefore I will feel obliged to really finish this project. Besides that, I might find other people who are also currently carrying the same or similar promise/ project, and we can cheer up each other! And this is how atashinohanashi.wordpress.com was reborn to unprettyvanity.com. I want to record my ‘low buy 2019’ journey, and furthermore, my ‘minimalist lifestyle’ journey on this blog and share it with you, and I hope it can inspire you in any possible way!